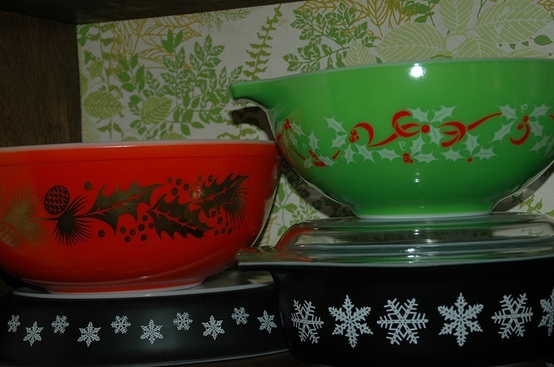 Don't you love the Pyrex holiday sets? They are PERFECT for the holidays. 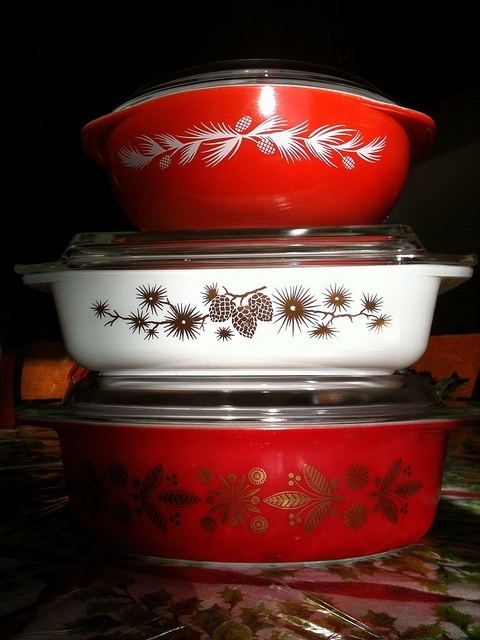 I personally do not have any of these YET, but tomorrow my husband and I are taking a trip to PA for the whole day...Hopefully I will possibly find it there or in their thrift shops! Good luck, I have the Golden Poinsettia, that's my only one! I hope I find one! I might even be tempted to pay antique mall prices!!! 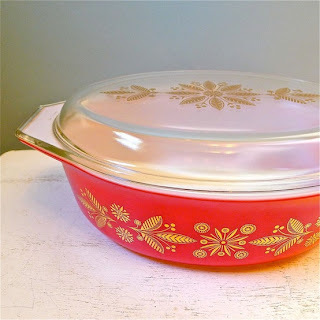 I also hope I find more of the Pyrex flamingo dinnerware and also the turquoise.! I saw the red bowl in the first photo on the left this weekend... for $40. I considered buying it because I have such a love for Christmas, but I just couldn't do it. 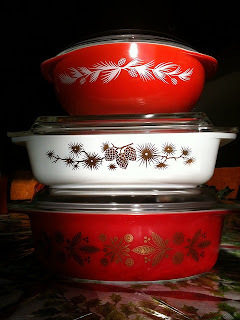 I love the Christmas Pyrex!!! $40 in a thrift store?!!!! Yes I did find amazing stuff! You will LOVE it! I have been delayed to put it on because I am getting everything ready for thanksgiving but I will post them today! LOL. It was in an antique market. I think this person has booths in every large antique market in a 2 hour radius each way of Toronto... some nice stuff sometimes. Geeze...that is a crazy price. I got all of mine in an antique store and it still wasn't close to that price! I guess everyone is different.